It reminds me of the largest funeral that we witnessed in Bangladesh. It was that of late President Ziaur Rahman, who was killed in Chittagong on May 31, 1981. When his remains were flown in to Dhaka from Chittagong, the capital city turned into a sea of humans mourning the death of a popular leader and President. Now it was the interment of Arafat Rahman Koko, the late president Ziaur Rahman’s youngest so. The quiet individual, who lived in solitary home in a foreign land with his family, passed away even more quietly, without offering any opportunity to anyone to see him during his final hours. The news of his death spread like wild fire. The dreadful news reached his confined mother in no time. The rest is a heartrending tale of a shattered mother, a young confounded widow and two orphan daughters. Koko was a non-political figure. He was put on trial, sentenced and fined by a court in Dhaka. His failing health forced him to leave the country for treatment seriously ill in confinement. From Thailand he moved on to Malaysia with his family. Since May 2008 he has been out of the country. He lived an ordinary life, keeping himself and his family away from all political maneuverings. Even his life in Dhaka has not been political. His involvement with sporting arena had been his pastime. Bangladesh Cricket Board expressed its gratitude for his contribution towards development of the game in Bangladesh. He also spent his time with a local sporting club. 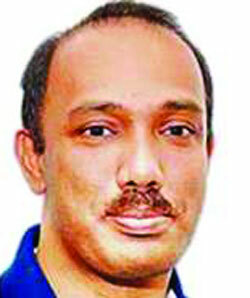 His death comes at a time when the country and his mother’s party (BNP) is going through rough patches. The ongoing battle between the 20 party alliance led by BNP and the Awami League led government has reached a dangerous point. Begum Zia is fighting for the demands she and her allies put up for the government to consider. Her challenges for a caretaker government for fair polls have been dashed in the last national election. Her alliance did not take part in the ballot that was held under Awami League-led government. It was a sham election. Over 153 MPs were elected unopposed while only a few voted for the rest. Her rejection of the polls and continued appeals for dialogues with the government fell in deaf ears. The recent spate of violence that engulfed the country has reached a point from where there seems to be no route to return. Her confinement in Gulshan office and the mass arrests of the opposition leaders has also been telling on her health. Amidst this crisis the sky falls – the sudden demise of her younger son in a distant land, tears her apart. We saw the repetition of the 1981 tragedy as Koko’s coffin was laid open in front of a grieving mother. The nation witnessed the tragic picture that words fail to describe. How can you situate words and phrases to illustrate a feeling that tormented the grieving ones, specially the mother? Out in the streets across the country, millions gathered to pray for the departed soul, who was neither their political leader nor their mentor. Forget not, there has been congregations and prayers (gayebana janaza) all over the country. In Dhaka, people thronged the streets everywhere. The national mosque, where his body was brought for the final prayer, could not accommodate thousands who gathered. The whole vicinity from shapla, to paltan to press club and in extension to other nearby areas – were taken over by the common men. They prayed in unison for the departed soul. They sought forgiveness for him; they shed tears for this man who was in no way related to them. This huge turnout could hold only one reason – he was the son of illustrious parents who enjoy an enormous popularity in this land of discord.